January 4, 2011 - The Test & Measurement Product Group of Astro-Med, Inc. has announced the award of a Supplemental Type Certificate (STC) from the Federal Aviation Administration (FAA) to retrofit its ToughWriter 4 Flight Deck Printer into Boeing 767-200, -300 and -300F Series aircraft. The required modifications and approval flights were completed by Delta Engineering, headquartered in New Castle, Delaware, which obtained the STC. The ToughWriter 4 flight deck printer includes both ARINC-429 and 10/100BaseT Ethernet ports to connect to Aircraft Communications Addressing and Reporting Systems (ACARS) and Electronic Flight Bags. 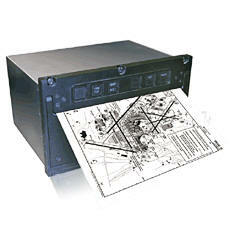 It offers 300 x 600 dot-per-inch printing resolution, the highest resolution available in a flight deck printer, providing pilots with crisp, clear printouts of weather maps, approach plates, electronic charts and other graphical information. With print speeds up to 5 seconds per page in text mode, the ToughWriter 4 gives Boeing 767 pilots immediate access to critical ACARS messages. ToughWriter 5 - The ToughWriter 5 is the latest airborne printer from Astro-Med. Designed specifically for business and regional jets, the ToughWriter 5 is the world's smallest ARINC 744A flight deck printer. Astro-Med is currently furnishing airborne printers for the Airbus A380 and A400M, the Boeing C-17, B-787, B-777, B-747, and the Lockheed C-130 in addition to the Boeing 767 aircraft announced in this news release. Astro-Med's Test & Measurement Product Group has been designing and manufacturing ruggedized products for more than a decade. These products are used in the most demanding military and commercial environments, including airborne, shipboard and ground vehicle applications. Astro-Med is certified to AS9100, the quality management system specifically designed for manufacturers of aerospace industry products. Astro-Med, Inc. is a leading manufacturer of specialty high tech specialty printing systems, electronic medical instrumentation, and test and measurement instruments. Astro-Med, Inc. products are sold under the brand names Astro-Med, Grass Technologies, and QuickLabel Systems, and are employed around the world in a wide range of aerospace, medical, military, industrial, and packaging applications. Astro-Med Inc is a member of the Russell Microcap Index.